Showing 1 - 20 of 995 results. 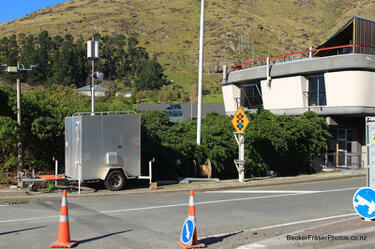 Photograph captioned by BeckerFraserPhotos, "A temporary cellphone repeater near the entrance to the Lyttelton tunnel at the Heathcote end of the tunnel". 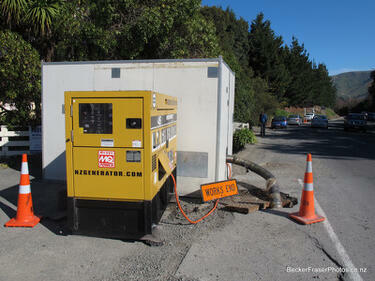 Photograph captioned by BeckerFraserPhotos, "A temporary sewage pumping station on Bridle Path Road, Heathcote". 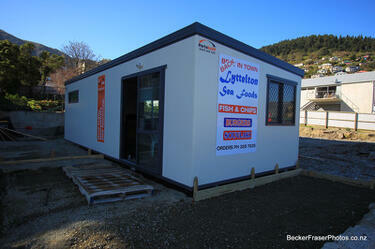 Photograph captioned by BeckerFraserPhotos, "The Lyttelton Sea Foods shop has re-opened in a portacom on the cleared site in Norwich Quay, Lyttelton after their shop was demolished". 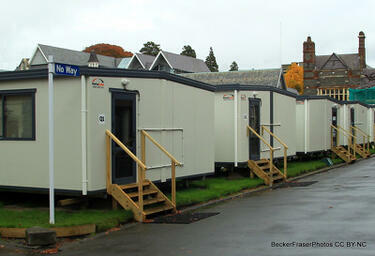 Photograph captioned by BeckerFraserPhotos, "Linwood Park temporary housing". 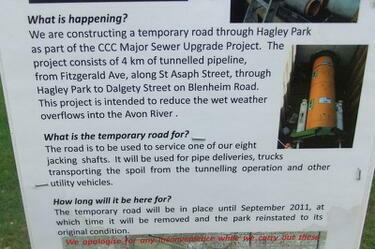 A photograph of a sign in Hagley Park explaining why there is a temporary road through Hagley Park. 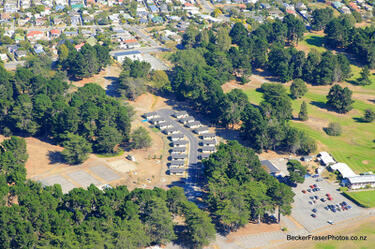 An aerial photograph captioned by BeckerFraserPhotos, "Temporary housing village, Rawhiti Domain". 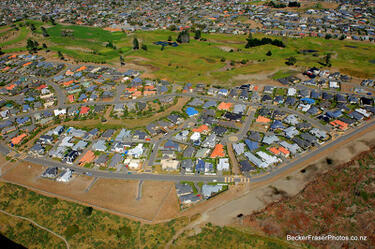 An aerial photograph of a residential area in New Brighton, with the Rawhiti Domain in the distance. 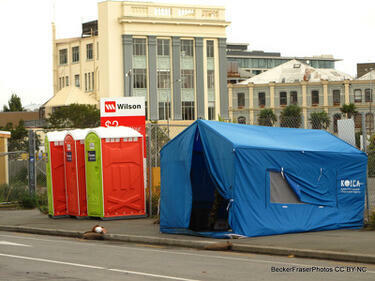 A tent and portable toilets on Manchester Street. 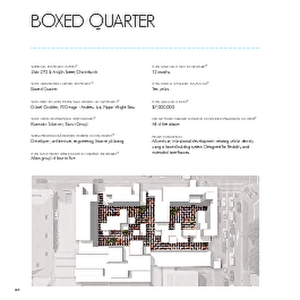 The old Post Office building and High Street buildings can be seen in the distance. 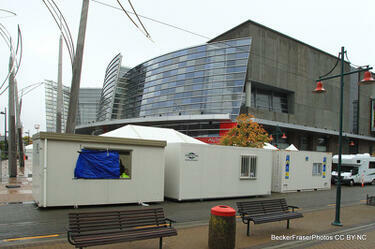 Photograph captioned by BeckerFraserPhotos, "Christchurch City Gallery, the temporary civil defence HQ". 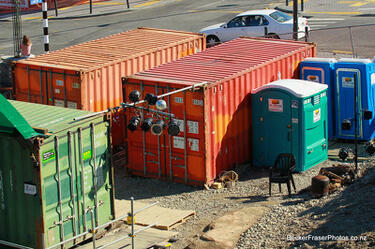 Portacoms have been placed along Worcester Boulevard to house office workers. 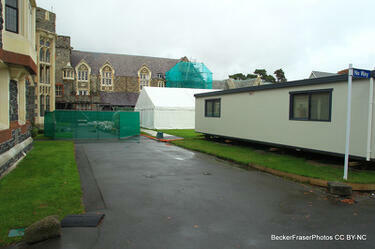 Prefab buildings in the quad of Christ College, hired to replace damaged classrooms that are unsafe to enter. 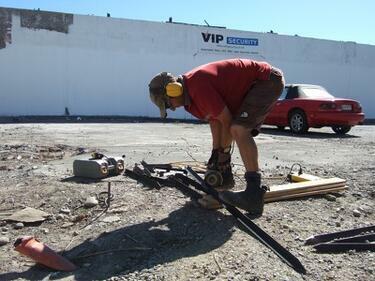 A cordoned off area in Christ's College where bricks from the heritage buildings have been removed and stacked. 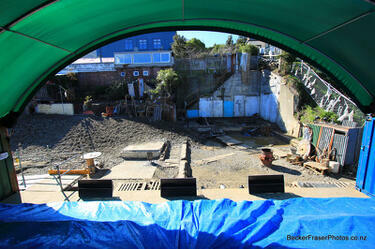 Scaffolding can be seen on the building in the distance and a prefab building to the right which was being used as classrooms while the buildings are still unsafe to enter.